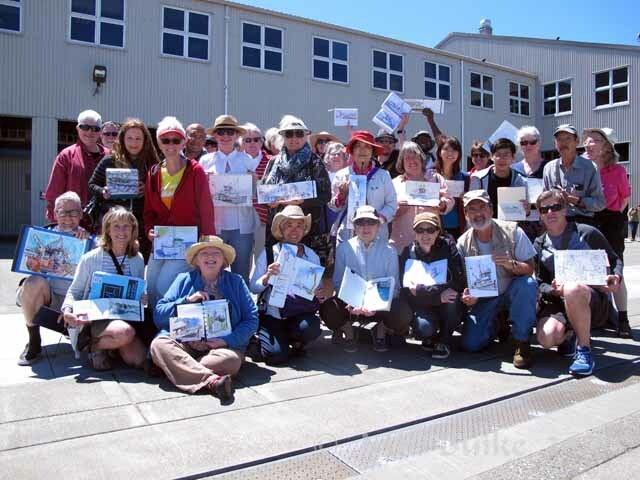 Though the actual day is in July, Urban Sketchers Seattle celebrated our 7th anniversary at Fishermen's Terminal, the location of the first sketch outing. I've been involved for a few months over 4 of those years and it's been a wonderful experience! We had a very large group today. 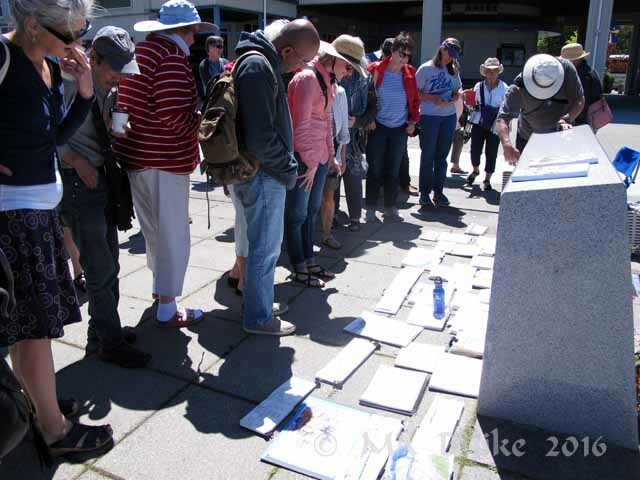 There were several new people but only 2 who had been at that first sketch outing: Frances Buckmaster and Frank Ching (unless someone came later who was also there). I had arrived early in my attempt to beat the traffic from all the events happening around Seattle today. I found this dramatic commemorative sculpture. 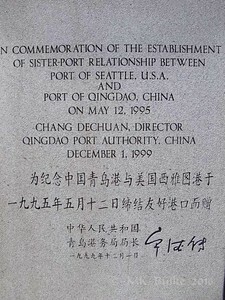 On the stone base, it says: "In Commemoration of the Establishment of Sister-Port Relationship between Port of Seattle, USA and Port of Qingdao, China on May 12, 1995. Chang Dechuan, Director Qingdao Port Authority, China December 1, 1999" And, presumably, the same in Chinese. After a bit of wandering around, I chose a portion of the Darla A. I liked the anchor on her bow. 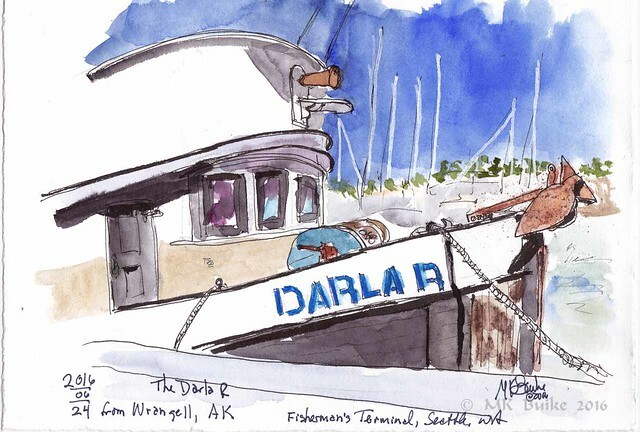 She is out of Wrangell, Alaska. She was a popular little boat as many sketched her. 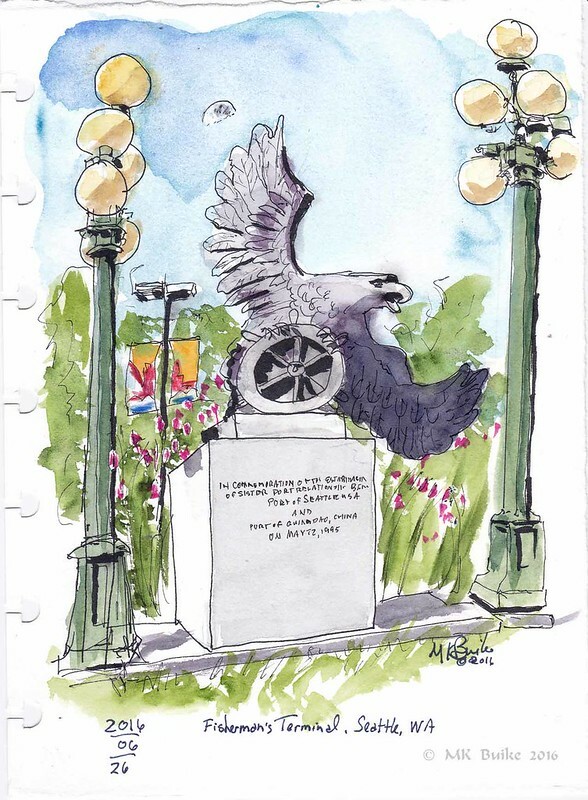 The "throw down" of sketchbooks; seems that's what we're calling the sharing of sketches now?